The all-powerful God of the universe loves us and wants to talk with us—but it doesn’t always seem that way. Why is prayer so hard at times? And why are some prayers answered while others are not? Susie Larson knows the struggle. But through the years she has learned to pray with confidence and joy, approaching God as His beloved child. Prayer isn’t merely a means to an end. God invites you to an intimate and profound dialogue with Him, to experience His movement in your life, and to know His overwhelming joy, power, and peace. Experience God’s presence as He strengthens your faith, encourages your heart, and shifts your perspective. Why is prayer so hard at times—is it even worth it? Together, Your Powerful Prayers and this DVD make an ideal six-week study—whether you meet in a large group at church or in a smaller, more intimate gathering at home. May this be the start of a more joyful and powerful prayer life! Whether you’re reading Your Powerful Prayers on your own or within a Bible study group, get the most out of your study with these additional resources. Enrich your study with the free, downloadable Your Powerful Prayers Workbook. 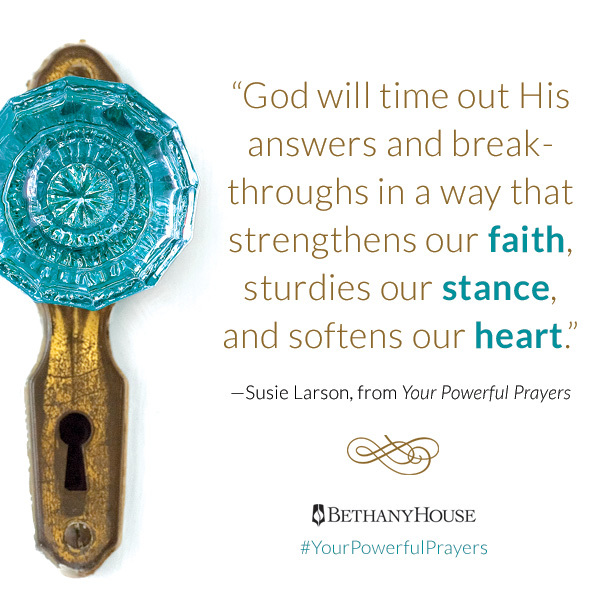 The Your Powerful Prayers Workbook will go beyond the Reflection Questions provided in the book and DVD, connecting the message to additional Scripture passages and inviting you to think more deeply about what you’ve learned and practice powerful prayers.